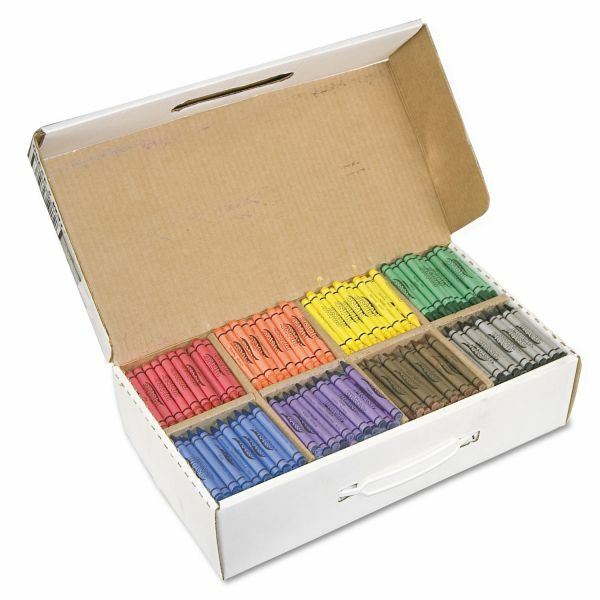 Easy-open tuck box keeps crayons accessible and safely stored. Prang Crayons Made with Soy, 100 Each of 8 Colors, 800/Carton - Crayons are ideal for schools, workshops, demonstrations, trade shows, or any group that needs crayons in large quantities. Packed in a heavy-duty divided carton with plastic carrying handle. 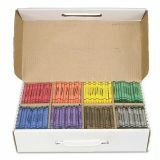 Colors include red, orange, yellow, green, blue, purple, brown and black. Certified AP nontoxic. 3 5⁄8" × 5/16" 3 5⁄8" × 5/16"